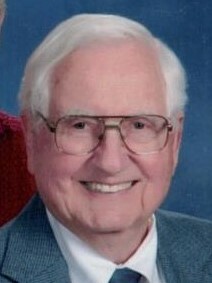 Marks, James C. Jr, 88, passed away peacefully at his home in Oxford, Ohio, with family at his side, on Monday, April 1, 2019. Jim is survived by his wife of 60 years, A. Jean (Lotz) Marks, his son Kevin (Kelly), and grandchildren Megan, Ryan, Andrew, Allie and Ben. He was preceded in death by his parents, Minnie Mae (Osborne) and James Clarence Marks, Sr., and two step siblings. Jim was born on April 16, 1930, in Dayton, Ohio, graduated from Fairmont High School in 1948, and attended Miami Jacobs Business College before enlisting in the U.S. Air Force. He was stationed in Japan and the Philippines until 1953, when he attended Miami University in Oxford. Jim earned a Bachelors degree from Miami in 1957 and an MBA in 1958. While at Miami, he met Jean, and they married in 1958. Jim worked as an economist at Armco Steel for 20 years, then did product sales and taught marketing and business courses for many years at Miami University, the University of Dayton, Wright State University and Indiana University East. He was a little league baseball coach and faithfully followed the Cincinnati Reds. What "Papa Jim" loved most was playing with his grand kids, taking them out to eat, and watching them play sports. In lieu of flowers, memorial contributions can be made to Hospice of Cincinnati or the American Heart Association.